Asking you to write about someplace or person that has left an unforgettable imprint on your life is a tall order. I know this, and I myself have had so many places and people that I will never forget so it is hard to pick just one to tell you about. Most of you that know me have heard all about the story of how I met two of my lost children for the first time again after 30 years. You probably think that is what I am going to write about now, but I have a different story to tell you. I am going to tell you about a time when fate went to Greece disguised as a man wearing a long black coat. My sister in law and I met him there on vacation 15 years ago. A vacation that changed both of our lives, and I am certain that Fate knew we would be there. He was just a tall shadow standing behind a good looking young Greek man on the other side of a small fence that bordered the sidewalk from what would become our local pub. I noticed him whispering in this young man’s ear as I was sitting with my sister in law and two young English guys, enjoying a drink and the warm night air. It was our first night in Greece and although we had not planned to go out, circumstances led us to being there. We did not know it at the time, but this young good looking Greek man standing there watching us, should have been going home that very same day. He was on vacation as well, and although he was part Greek, he was actually from Australia on vacation and helping out his cousin, working on a boat. He had felt compelled to stay so when the shadow man had approached him that night and whispered in his ear saying, “Talk to her, you have to talk to her,” he didn’t hesitate. That was the first time we saw the man in the long black coat, but we saw him many times during the next two weeks. He would seem to appear out of nowhere, leave a message about love, and quickly disappear back into the crowd before anyone could respond. Needless to say, our “girl’s” vacation turned into the romance of a lifetime, involving my sister in law and this young Greek man. I did everything I could think of to stop this hand of fate, but it would not be so. You probably are asking why I should stop such a wonderful holiday romance. The answer is simple, because she was married and had two small children. As fate would have it they continued their love affair long after she had returned home to her husband and children. He flew to Norway after her and I hid their secret as best I could until a photograph of them betrayed her. The secret was out, but fate was not finished with these two. To make a long story short, today they have been happily married for 10 years and are living in Australia. I often wonder how fate led us to the circumstances that changed so many people’s lives. 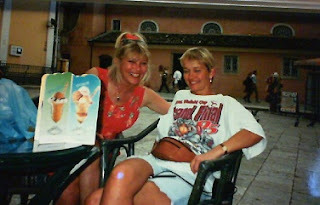 Some people do not believe in fate but I do, and I know what it looks like, unforgettable and so was my time in Greece. I am looking forward to reading about your unforgettable moments in life, and to see just how much fate had to do with them. Hi Siv .. fascinating story - and more importantly am so delighted to read your Norse mythology and Norwegian Folklore will be out soon - but congratulations on having the first chapter published in Wayman Publishing ..
Great news and have been enjoying your tour around with your children - must have been lovely for you all ..
That's quite a story. Congratulations on your upcoming publication. It so often doesn't work out, so glad that it did for your sister-in-law. Does that mean she's no longer your sister in law? That is cool, Siv. This is really a great blogfest. My fate was to write and learn despite my odds. Sir Poops and Hair Ball would like to interview you for What's Your Nosh. You'll be hearing from them soon. 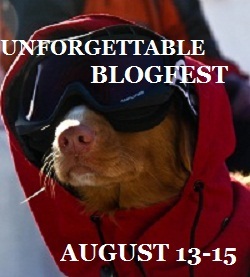 Darn, wish I'd known about this blogfest earlier! Your story is incredible. I believe fate does have a way of working things out. It did for me! Siv, so sorry I didn't know about this - it's a wonderful idea for a blogfest. I, too, believe in fate. I am glad things turned out well for your sister-in-law. A surprise. I can't imagine such a thing in real life. Nice to see you. Karen, your comments do not come to my mail and I do not have your email address, nor can I find it :( It is still not too late to join in. I would love to hear your story! Life is never simple, is it? Nor is love. Being a softie, I grieve for the children of the first marriage. I am so happy that your first chapter is being published in an anthology! Way to go! Siv, that's a great story. Really conveys the mood. Great story. Sometimes fate sends us to the right people long after we've thrown in our lot with someone else. I'm doing my post tomorrow so I can't wait to see what you think of mine. And I have truly enjoyed reading about your children. How incredible how mysterious strangers enter our lives and effect them so drastically. I, too, believe in fate, Sis... not surprising, right? Amazing story. I don't know how I'd react to a mysterious man in black. I will be thinking about entering this. Congratulations on your story. That's so exciting. Just got my "Unbelievable" post up! :) Lots of fun reminiscing. Wow, quite a story! I do believe in fate, and it certainly sounds like they were meant to be together. Congratulations on your release! Oh, wow! Such a neat love story! It'd definitely be unforgettable. Congrats on your short story! Wow, this is quite the story and would make an amazing book ;D How dark n' mysterious and profound! I guess I'm too late to sign up for the 4th. I'd be happy to shout on the fourth, though. Way to pull us in! Well written my friend. Sorry I haven't been by earlier it's been crazy here. I'll tell you later.